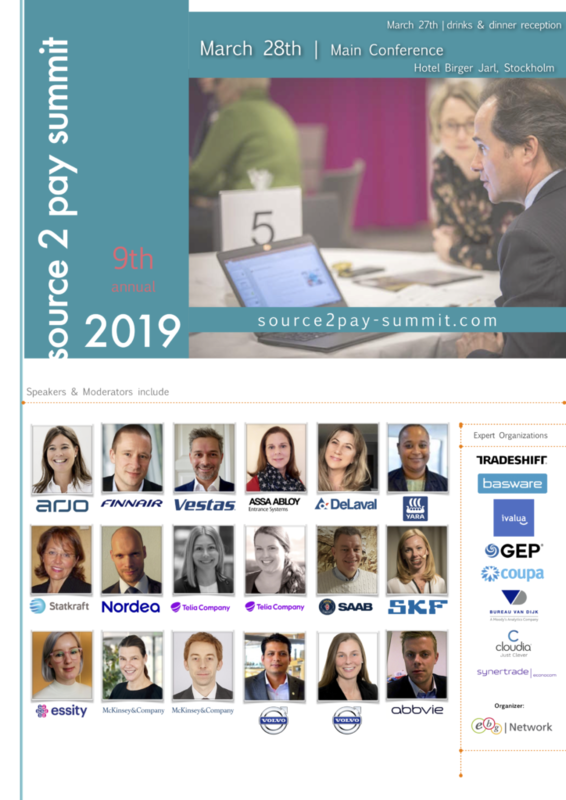 A huge thank you to all who came to the 9th version of Source 2 Pay Summit in Stockholm! 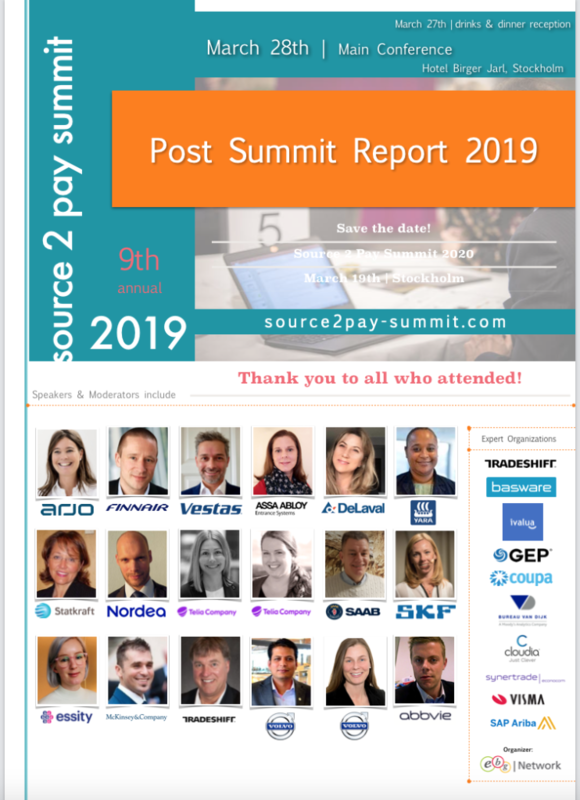 It is a pleasure seeing all the connections taking place, all the conversations and all the experience exchange. Informal and to the point. All share more or less the same challenges! Take a look at what it looked like during the evening before and during March 28th. 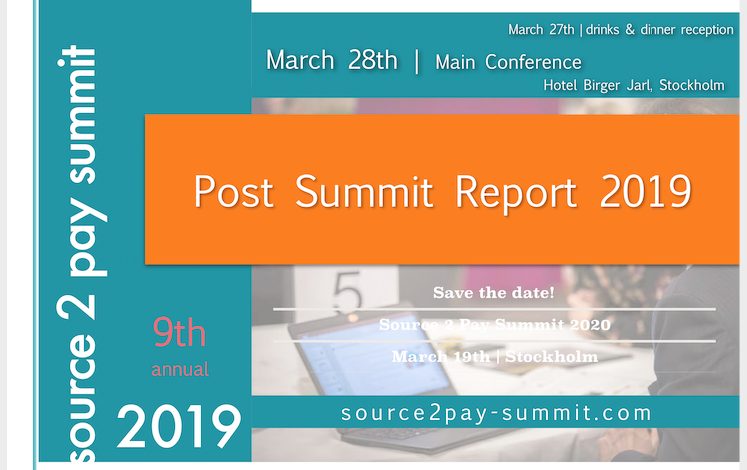 Save the date for 2020 – we will meet again on March 19th in Stockholm! 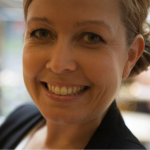 We already have a lot of ideas – if You have some too, feel free to contact Anna today via anna(at)ebgnetwork.com. 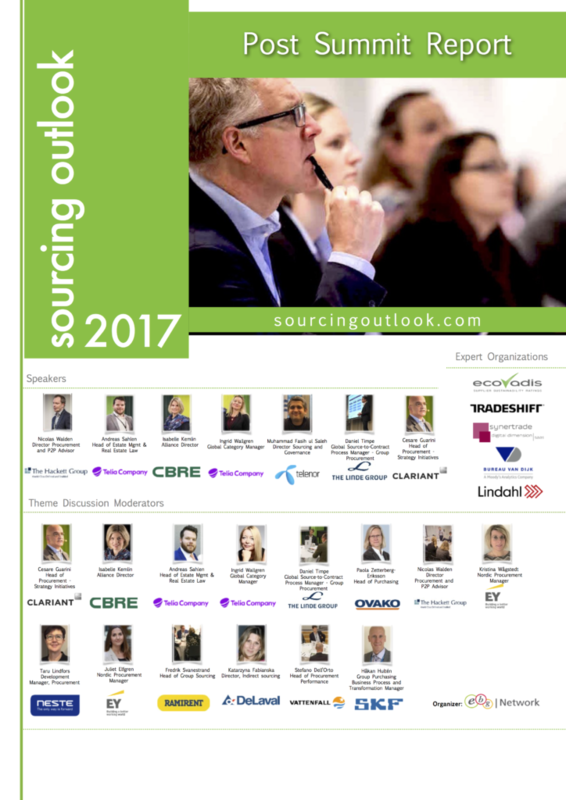 If you want to secure being there as a sponsor – Expert Organization – contact Lars via lars(at)ebgnetwork.com. 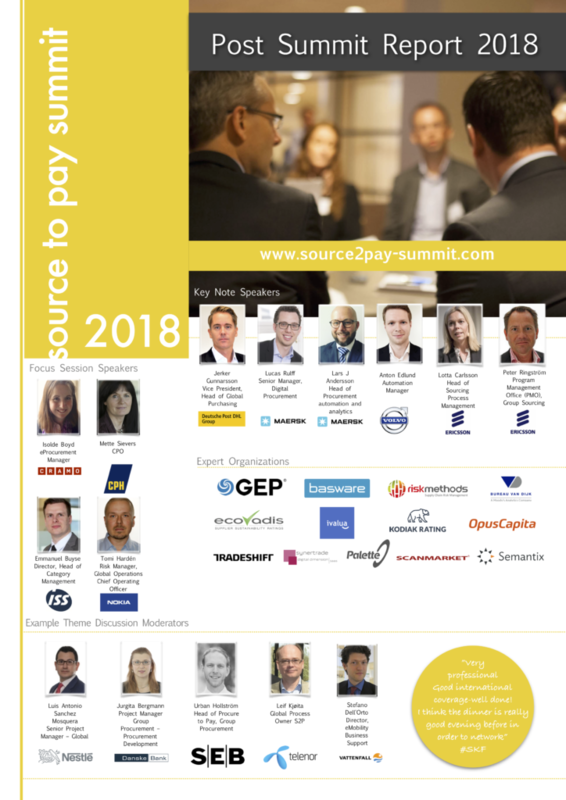 How to optimize procurement and finance operations was of course high on the agenda. What is great is the connection to strategic goals and outcome. 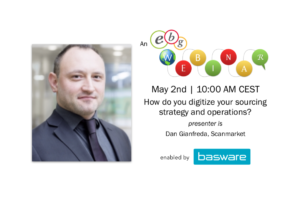 Digitization – on everybody’s agenda but how do you go from idea to execution? 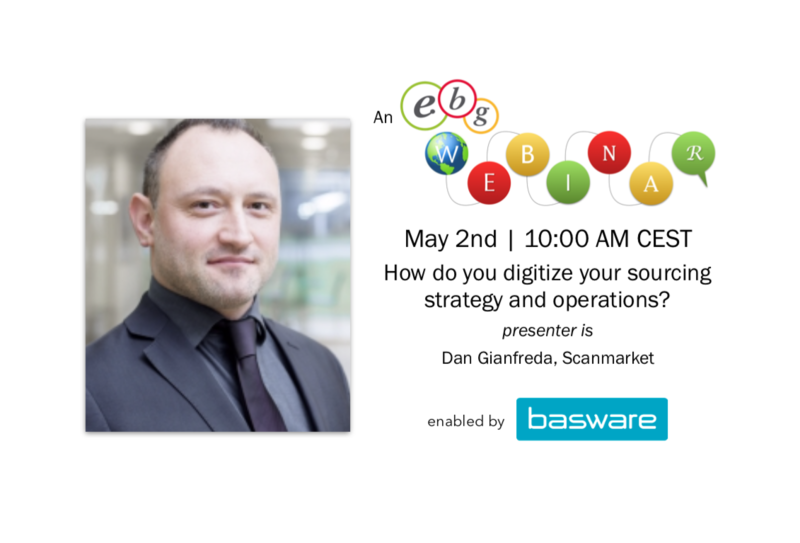 How do you ensure you optimize across the organization? 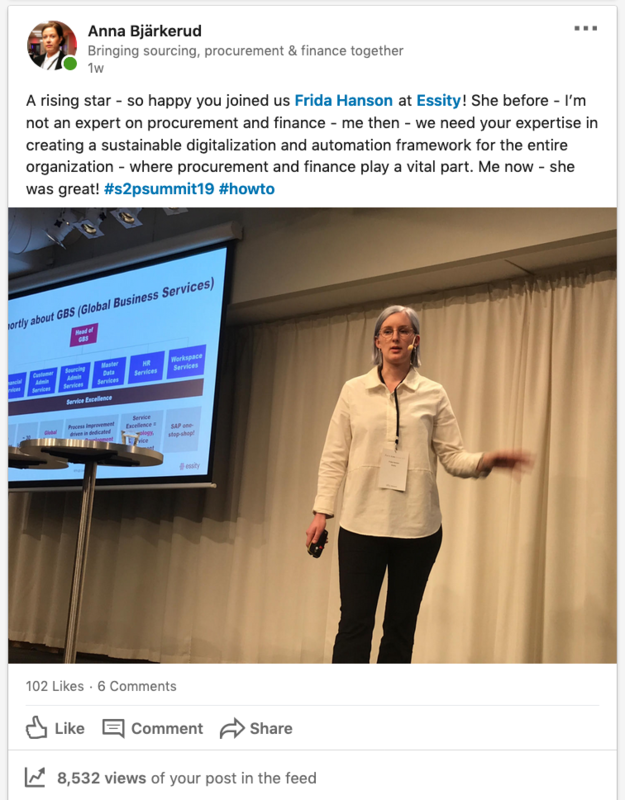 Frida Hanson at Essity gave a great summary of how Essity choose to enable company wide automation and digitization. 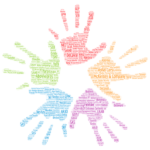 Skill-sets – when you change ways of working, competences need to develop too! Consider you ask of your team to continuously improve – and that improvement may mean changed ways of working. How do you encourage that? There were several discussions focusing on this area. 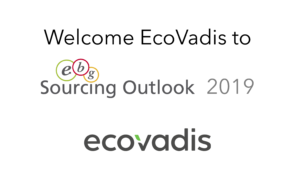 Technology – EBG managed to gather almost all prominent system and solution providers in this area! 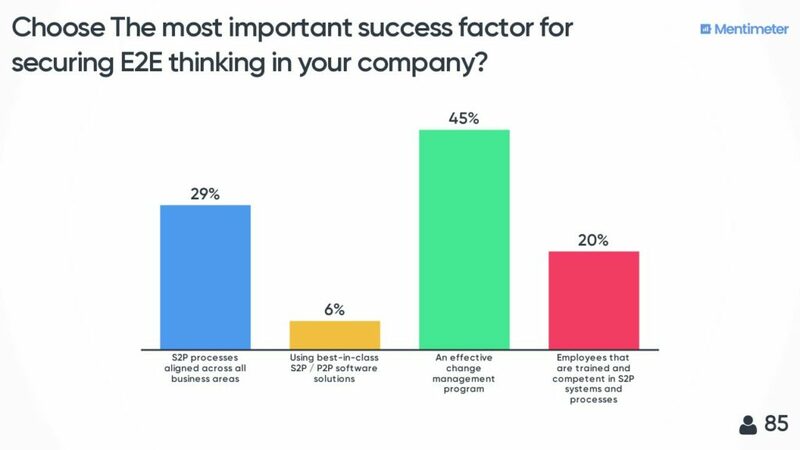 An early poll asked what the room considered to be The most important success factor securing end to end thinking (view the results below). Bad news for system providers? Not at all. 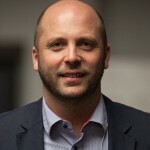 It is about time buyers of technology realize that change management need to be an ongoing factor – with or without technology – if any of the strategies created are to come true. 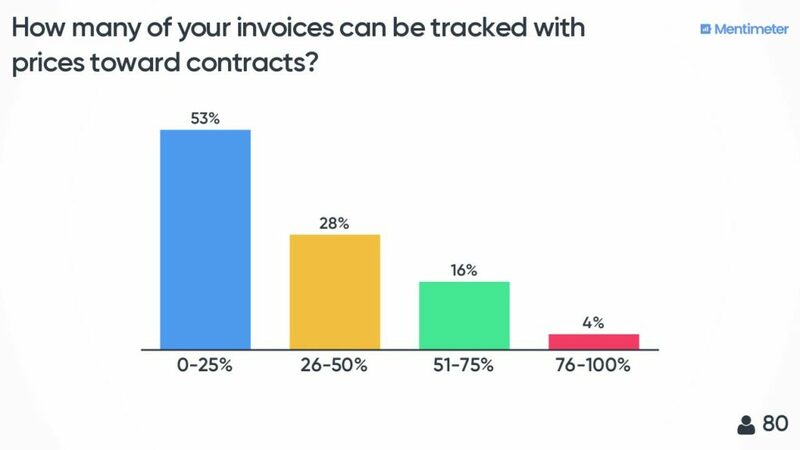 You need to use 20% of the time allocated to planning and 80% following up. I’m not saying how much time that mean – but the ration need to be that if change is to happen. 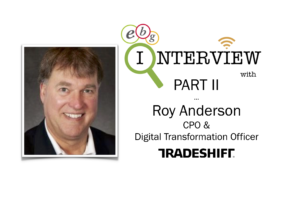 At the same time – technology will enable you to connect the dots once you have digitized processes. Much needed as we asked the below question live. What ever your challenges are and what you opportunities you are seeking to develop – an informal ways of learning from others can be really valuable. Therefor EBG hope to see you irl next time! 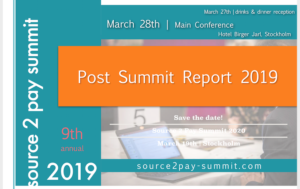 Make a calendar place holder already for March 19th 2020 in Stockholm and we look forward to seeing You at Source 2 Pay Summit 2020. 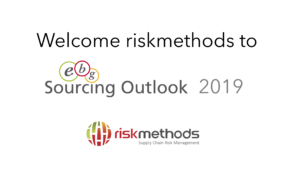 On October 10th 2019, EBG host the third annual Sourcing Outlook in Stockholm were focus is on sourcing and procurement strategies, operations and governance. Stay tuned here.